When I first graduated from college, clothes were the first thing I upgraded in my life. I knew shopping at the same stores I did throughout college wouldn’t pass the test. Do yourself a favor and shop for some quality clothes, clothes you wouldn’t wear to a nightclub and you might still have in your closet years later. But, don’t think of this as a free pass to have a total makeover and give your credit card a work out. For now, leave the low quality rating to the beer and get some high-quality wardrobe staples. The keyword here is staples, not wardrobe. See? Who said math couldn’t be fun! And just like your taste for cheap beer, this wouldn’t last forever. 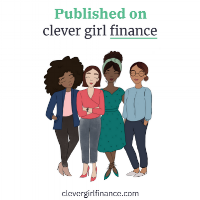 As you continue to earn money and get closer to becoming debt-free, fill in the gaps with non-essentials and accessaries to add your own flair. By only buying the essentials now, it will give you time to determine what your really need so you’re not wasting money on items you’ll never wear. Just hang on to that college mindset for a couple years, and after your debt is paid off you can finally let that mindset go (along with the cheap drinks!). For more tips like these get my book and subscribe to my newsletter!